David was born in Brisbane, Australia where he had his initial training. He undertook his apprenticeship at the Brisbane Hilton under Master Pastry Chef, Walter Peters. 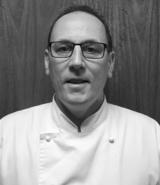 He came to Europe in the 1990s and gained experience at the Michelin establishments Fleur de Sel (Haselmere); Chateau de Montreuil (France), Dolder Grand (Zurich) and the Four Seasons Hotels (London/Dublin/Houston/San Francisco). He joined Caprice Holdings Limited as Pastry Chef at The Ivy in 1998 before leaving to start his own business, Proof is in the Pudding, which he operated for eight years. He joined C&K in 2013 as Head Pastry Chef at The Wolseley before becoming Head Chef in 2017. Malachi is an Australian and prior to emigrating to the UK in 1998, was part owner of Red Scooter in Melbourne. In London, he worked as Head Chef at the Mango Tree in Belgravia, Helter Skelter in Brixton and Cocoon in Regent Street, as well as spending three years in the yachting industry as a private chef for internationally known names. Malachi joined Corbin & King in late 2011 as Executive Sous Chef for the opening of The Delaunay. Four years later he was promoted to Group Executive Chef, a role which he upholds today whilst remaining at the helm of The Delaunay kitchen. 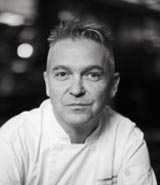 Born in London, Charles Hilton has spent most of his career in Scotland (it was a hotel in Troon - a small seaside town on the West coast, where Charles first found his calling to be a Chef, at the age of 17). Following a stint in Sydney working for Tony Bilson at Bilsons, Charles returned to London nine years ago. 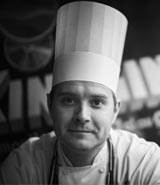 He joined Corbin & King from the AMBA Hotel where he was Executive Head Chef for two years - responsible for a rebrand and the roll-out of new menus at the time. He has been at the helm of the Zédel kitchen in the role of Head Chef since September 2016. Having left University with a degree in Criminology and IT, Adam ventured to Canada where he was first introduced to the world of hospitality at Glowbal in Vancouver. 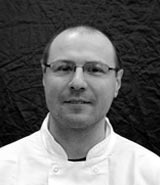 Since returning to England, he has held senior positions at a number of notable establishments, such as Bord'eaux (Senior Chef de Partie), Caprice Holdings (Senior Chef de Partie), Bocca Di Lupo (Sous Chef) and Le Coq (Head Chef). In July 2016, Adam joined the team at Brasserie Zédel, becoming Executive Sous Chef in under 18 months. He was appointed Head Chef of Colbert in late 2017. Lauren came to Corbin & King through the Bournemouth & Pool College Chef Apprenticeship programme in January 2013. She began her career with the group at The Wolseley, working her way up from Commis Chef to Sous Chef in just five years. 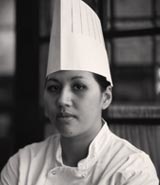 In December 2018, she left Piccadilly for Marylebone to assume the role of Head Chef at Fischer's. Wojtek trained in his home country, Poland, before arriving in London in 2008 to work at The Ivy. Several senior positions followed for various establishments including One Blenheim Terrace and The Albion in Islington where he was Head Chef. 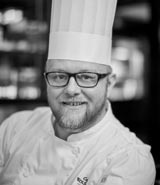 In April 2016, Wojtek joined Corbin & King as a Sous Chef at Bellanger. He was promoted to Head Chef in January 2019. 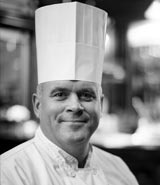 Lee Ward trained at The Feathers Hotel in Woodstock before joining various notable restaurants both in the UK and abroad, such as Hanbury Manor, Quaglino's and Bank Aldwych. He was part owner and investor in the organic bakery, Flour Power City, before working for Rhubarb Food Design from 2002 - 2011. It was in September 2011 that Lee joined Corbin & King as Executive Sous Chef for the opening of The Delaunay, being promoted to Head Chef there in February 2012. Time as Head Chef at Fischer's followed before moving over to Bellanger to help with its opening. From April - October 2017, Lee was based at The Wolseley in preparation for the opening of Café Wolseley at which he is now Head Chef.